2. Pufferfish: Whenever a male pufferfish wants to attract a mate, he’ll make this pattern by flapping his fins along the sea floor. The more complex the pattern, the more likely he is to impress. Apparently, good art makes lady pufferfish swoon. 3. Ants: Ants might be a nuisance when invading your home and crawling around your ankles during picnics, but they’re actually pretty great artists. Just take a look at this ant colony. That’s some seriously complex architecture! 4. Weaver ants: Not every ant carves out complex castles beneath the soil. The weaver ant, for instance, does a little bit of origami to build its home. 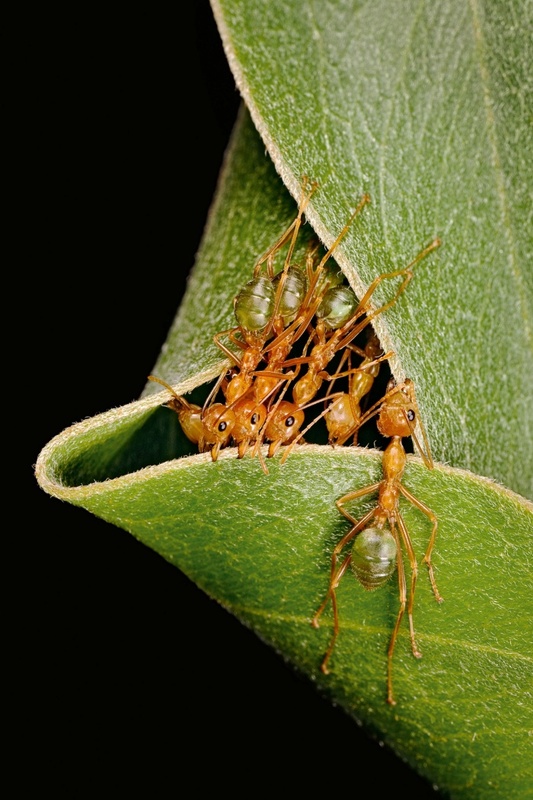 Working together, some ants hold the leaves while others make a floss-like strand to tie the leaves together. 5. Wasps: As if wasps weren’t enough trouble, they’re capable of creating nests that are both beautiful and terrifying. In this particular case, the wasps formed their papery nest around a wood statue. 6. Red ovenbirds: These birds actually make their nests out of clay, mud, and grass, and they can take up to 2,000 flights looking for the perfect materials to make them. Their effort is worth it: these 12-pound hovels would make any ceramics teacher proud! 7. Spongilla fly: The million-dollar question here is: what’s a spongilla fly? They’re little veiny scavenger flies whose larvae feed off sponges in lakes and rivers. 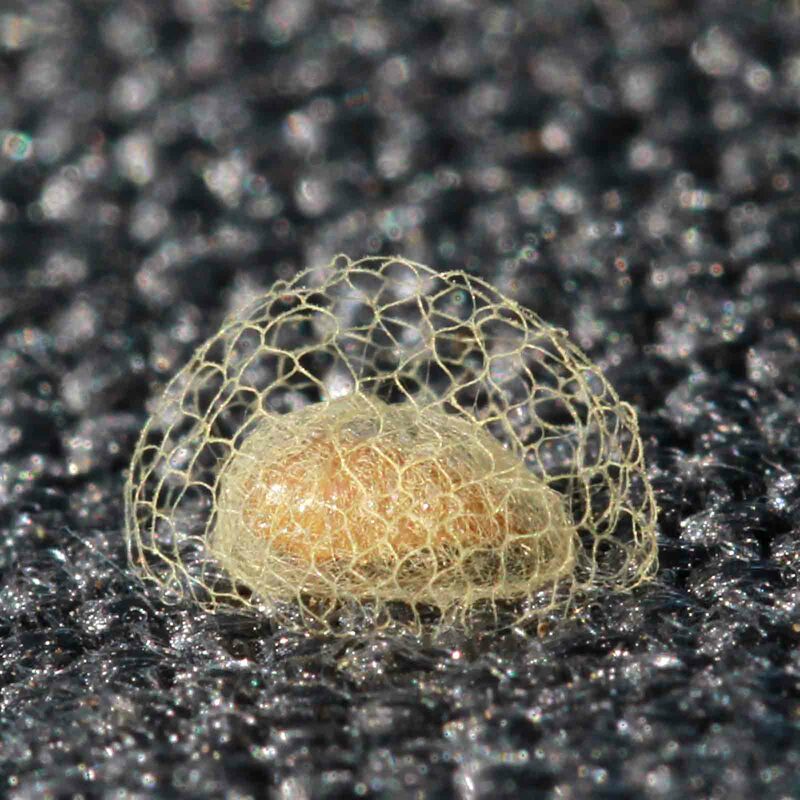 When a female lays eggs, she weaves a lovely, intricate web around the cocoon. 8. Caddisfly larvae: A classy bug like the caddisfly isn’t about to pupate out in the open where anyone or anything can see ’em. Instead, they build these tough cocoons out of pebbles, weeds, sand, or anything else they can find. Safety (and privacy) first! 10. Bowerbirds: The male Vogelkop bowerbird uses twigs and grass to make these huts—also called bowers—in order to attract a female. He then arranges various brightly colored objects inside them to sweeten the deal. These are purely for attraction purposes; the bowerbirds never actually live inside them! 11. Sociable weavers: Found in southern Africa, the weaver makes these big nests that serve as the home for generations of weavers. It’s very hot inside, which keeps the birds toasty and cozy at all times. 12. Great Barrier Reef: At 350,000 square meters, the Great Barrier Reef is undoubtedly massive. But what makes it art, exactly? Well, living organisms are building it without a single power tool or YouTube tutorial every single day! Heck, most of it is made of living things! 13. European red wood ants: This might look like a little hill to us, but by an ant’s standards, this mound is a massive skyscraper! The complexity far exceeds what you might think ants would be capable of creating. 14. Baya weavers: Not to be outdone by the sociable weaver, the baya weaver forms a beautiful nest all its own. Typically found in colonies, these birds usually hang their homes above waterways to keep out of the reach of predators. 15. Compass termites: In Australia, there are fields peppered with towers built by termites. They face north and south and utilize a ventilation system to keep internal temperatures steady and low. How cool is that? 16. Spiders: Spiders are, undoubtedly, the planet’s master web-weavers, but this has to take the cake. A graduate student was the first to spot one of these, which scientists now know is an egg sac. The jury’s still out on what kind of spider made it and how, however. 17. Swallows: When you’re done trying to calculate just how fast one of these cute little birds can move when unladen, take a look at their nests. Made entirely from bird spit and mud, they’re undoubtedly impressive. 18. Beavers: It wouldn’t be a true collection of artistic animals without mentioning beavers. These critters have shown time and time again that they know how to divert and blockade rivers and streams in style. They’re like nature’s little carpenters. 19. Osmia avosetta bees: When this rare bee needs to make a nest, it doesn’t just settle for your standard beehive. 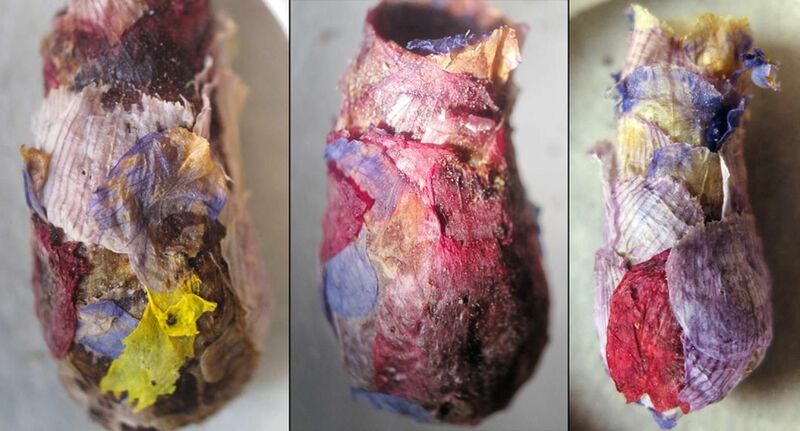 Instead, it crafts three-chambered nests that utilize flower petals as the outside layer. It’s actually quite pretty! 20. Montezuma oropendolas: Yet another bird proves itself to be among the great artists of the animal kingdom—and maybe humankind as well. Using vines and grass, these guys construct intricate colonies that look like stylish chandeliers.